Product categories of 12mm Laminate Flooring, we are specialized manufacturers from China, 12Mm Laminate Flooring, Grey 12Mm Laminate Flooring suppliers/factory, wholesale high-quality products of White 12Mm Laminate Flooring R & D and manufacturing, we have the perfect after-sales service and technical support. Look forward to your cooperation! 12mm laminate Flooring is one of the easiest and most affordable flooring options available today. It offers high-end hardwood or stone looks at a fraction of the price. Not only is laminate affordable, it is also extremely durable, especially in those high traffic areas where children or pets like to play. 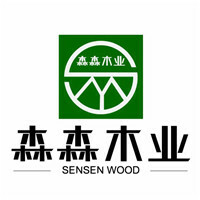 Copyright © 2019 Jining Sensen Wood Industry Co.,Ltd All rights reserved.